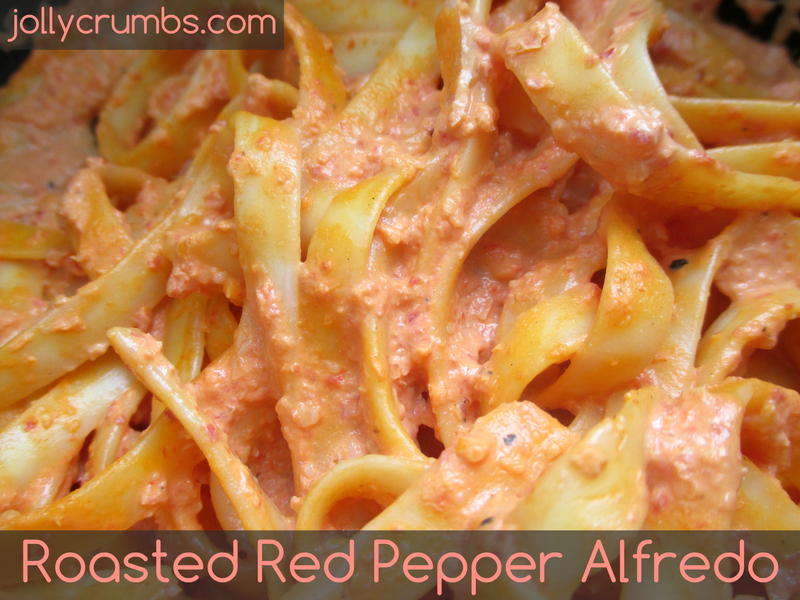 This roasted red pepper Alfredo is awesome. It is very creamy, tangy, and rich. 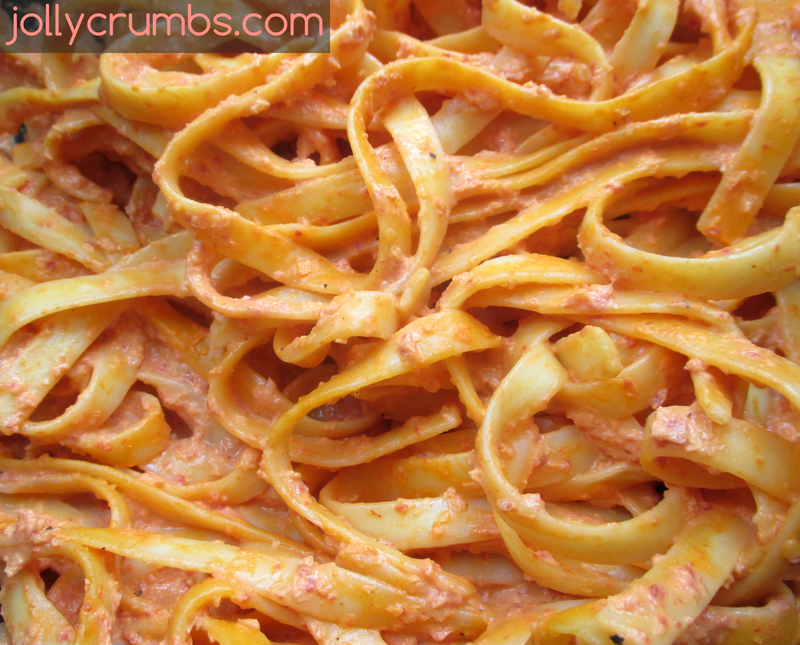 The red pepper flavor really comes through and it goes great with the linguine. The sauce is made with onion, garlic, roasted red peppers, milk, cream, goat cheese, and Parmesan. These flavors are made to go together. Now, I must tell you I was really skeptical of the goat cheese. The idea of goat cheese seemed unsettling to me. After adding it, I must say it was the best decision ever. The goat cheese adds a wonderful tanginess and creaminess to the sauce. This sauce is actually making me want to try goat cheese in more things! If you are just too afraid of the goat cheese, you can add in a different cheese instead. I included a couple different options if goat cheese just isn’t your thing. The first step in this recipe is to cook the linguine as directed on the box. Make sure you drain it well after it is done cooking. While the pasta is cooking, heat a large saucepan over medium heat. Spray it with nonstick cooking spray or use the oil called for in the substitutions below the recipe. Add the garlic and onion. Cook for about 2 to 3 minutes until the onions have softened and are translucent. 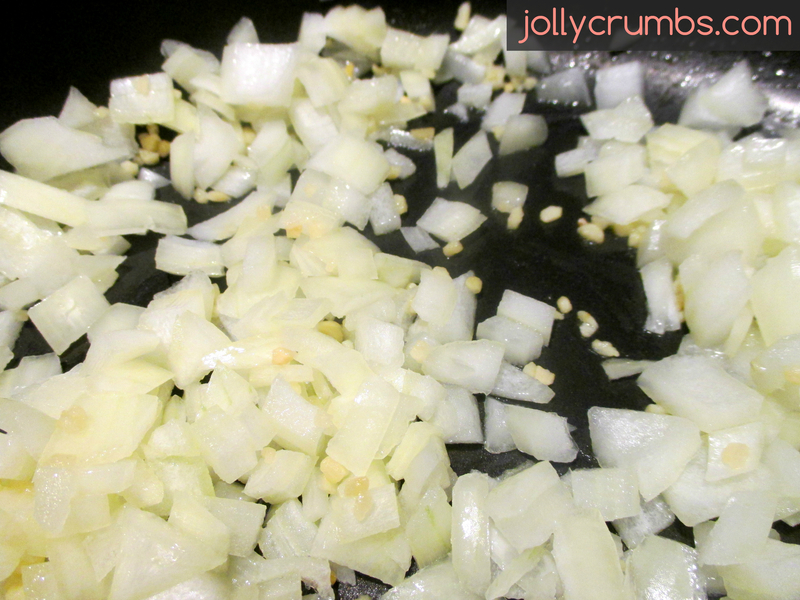 Stir these frequently so the garlic and onions don’t burn. Next, add in the milk, heavy cream, goat cheese and Parmesan. Stir until the cheese has melted. Add in the roasted peppers. Stir everything together. Then puree the sauce with an immersion blender or use a regular blender. Just ladle the sauce in small batches into the blender. I blended until smooth, but if you like chunky sauce go for it. You can blend until you have your preferred consistency. Stir the pasta into the sauce and combine completely. All of the noodles should be coated in the sauce. Add salt and pepper to taste. Serve hot! This is a really impressive recipe with out a lot of work involved to make it. I will be placing this dish on the rotation of recipes. The sauce is creamy, tangy, and rich in flavor. The roasted red pepper really comes through, and it goes perfectly with the goat cheese and Parmesan. I’m so glad I decided to go with the goat cheese in this recipe. If you are hesitant like I was, give the goat cheese a try. It really adds so much amazing flavor and texture to the sauce. If you are a fan of Alfredo, you have to give this recipe a try. It may change the way you eat Alfredo! Cook the linguine as directed on the box. Drain well. Heat a large saucepan over medium heat. Spray well with nonstick cooking spray. Add garlic and onion and cook until onions have softened and become translucent, about 2 to 3 minutes. Stir frequently to keep from burning. 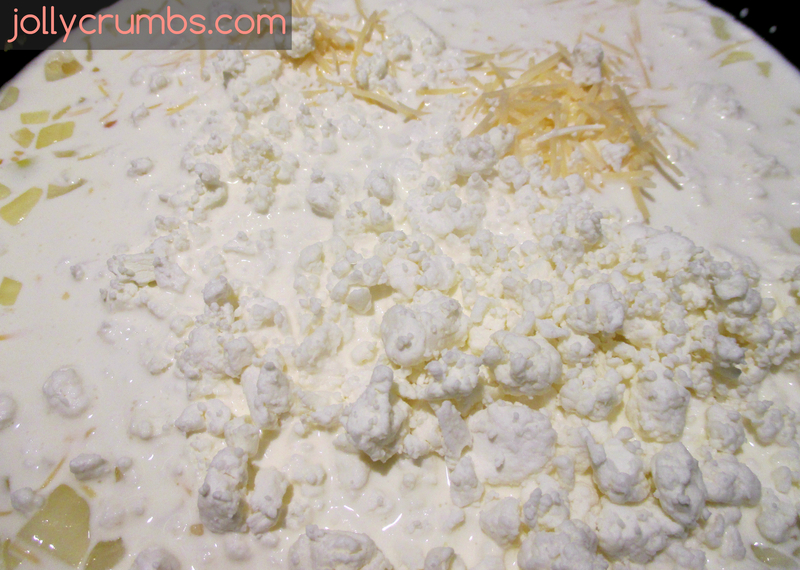 Stir in milk, heavy cream, goat cheese, and Parmesan until the cheese has melted. Add the peppers. Puree with an immersion blender until smooth, or ladle the sauce into a blender and blend in small batches until smooth (or leave partially chunky if you like texture!). Stir the pasta into the sauce and combine completely. Add salt and pepper to taste. Serve hot! I highly recommend the goat cheese. I was scared to use it at first, but it really adds a wonderful tang and creaminess. However, if you are not a fan of goat cheese, you could add in feta or cream cheese in the same amount of 4 ounces. Any one reading this recipe has got to try it! I didn’t blend the sauce but just left it chunky. I loved the creamy goat cheese in it. Faith gave thumbs up for this one!